I'm just looking for some feedback about my scars. I did accutane back in '06 and it left me with a load of them. I'm 25 now and still dealing with acne. Once I save up some money I plan on having some procedures done to reduce their appearance. These pics don't really do them justice because I used an old/low quality camera, but they give you a pretty good idea. The scarring affects me every day of my life, but I try not to let it get me down. I can't help it though, sometimes when I catch a glimpse of myself in some bad lighting it just ruins my day. It has definately affected my love life and my confidence in all areas. If anyone could share their experiences with treatments/procedures they have undergone or anything else I would really appreciate it! Thanks! First, before I say anything else, you have an AMAZING face. Bone structure, eyes, lips...BAM. I know you say that this has affected your love life, and I completely understand, but believe me sir, your skin is not the first thing I'd contemplate about you. (And I say all of this as a happily married woman). Second: I only have one real recommendation, and it's this: go slow. Anything you do should have a day or so of "down time," max. 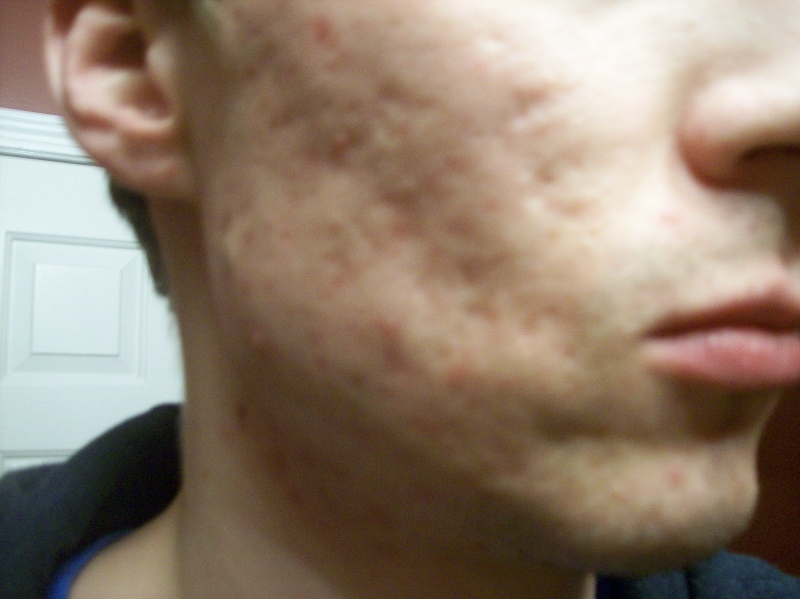 I personally have had several Fraxel laser treatments, and I liked them. Your face is red for about a day, and you need several of them spaced weeks apart, but the results are decent. Find a really experienced laser dermie who does them all day long. On a daily basis: invest in a red light device, or a red light-blue light combo. Red light stimulates collagen growth, and blue light kills acne-causing bacteria. I don't use mine as often as I should (the downside to these things is that they don't lend themselves to convenience) but they are effective. And finally: wear a zinc-oxide based sunblock every day to help keep the sun from insulting the scars with wrinkles. Wow thanks so much for the compliments you put a smile on my face! I have read good things about fraxel and the short down time sounds nice. I will probably need at least a few rounds to see any real difference. I will definitely look into the lights too, that sounds promising. Thank you for your input! Good news is that these are not HYPERTROPHIC (raised), bad news is that these are ICEPICK(depressed) scars I believe. Hypertrophic scar treatment - From steroid injections to laser removal/resurfacing and even to surgical excision of the scar. It will give you an idea of what to expect (as you have similar type scars). subcision/suction method and dermarolling + retin a. on this board you can find great results of this combination for rolling and box scars. especially you should look for the topic of mr. matt - man in the mirror - or somehing like that. i think you can found there some great information and ideas how to start treat your scars. Yeah I agree - you have a very handsome face and I think with a smile you would seem very charming. Don't let it destroy you - scars aren't that bad on guys:) I think subcision would be the thing to start with - check out Mr. Matt's thread! Oops my bad, I thought hypertrophic meant depressed. I can't figure out how to change it though. Thanks for your reply! Ok thanks I will check it out! I agree they are mostly rolling with some boxcar. Dermarolling seems cheap and I could do it from home, but I still get breakouts so would that be a problem? 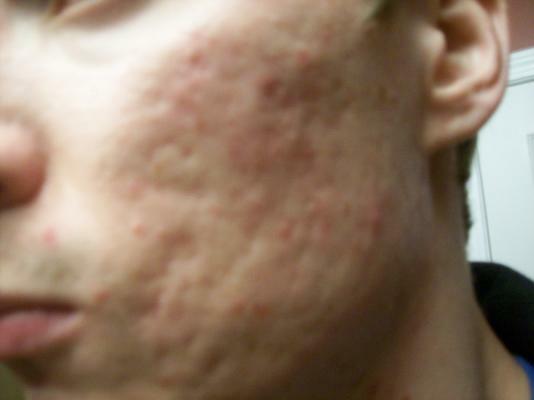 I have used retin-a, which helps with the acne, but isn't really strong enough for my scarring. I'm running out of it though and was thinking of switching to ACV at night for the summer. I will check out that top thank you! Thank you, they say chicks dig scars but I don't think acne scars are quite as interesting haha. Some days it bothers me more than others. I can usually tell when someone really notices them for the first time. One time I was talking to a girl I liked and I could tell she got kinda freaked out when the lighting changed. After that she pretty much lost all interest in me. Even though I believe most girls wouldn't mind once they get to know me, it makes it hard to have the confidence to meet them in the first place. Smiling defininetly helps but when I fake smile I feel like it looks forced and creepy. Thanks for the comment! 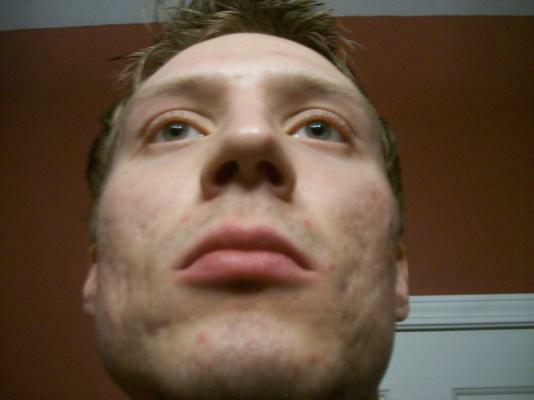 i think you shouldnt roll while you have acne, but subcision is the first thing you should do and it is probably the best tretman for rolling scars. I think they're rolling scars, not icepick. I don't understand the hypertrophic tag, since this obviously isn't anything of the sort. Most of the tags seem incorrect, anyway. 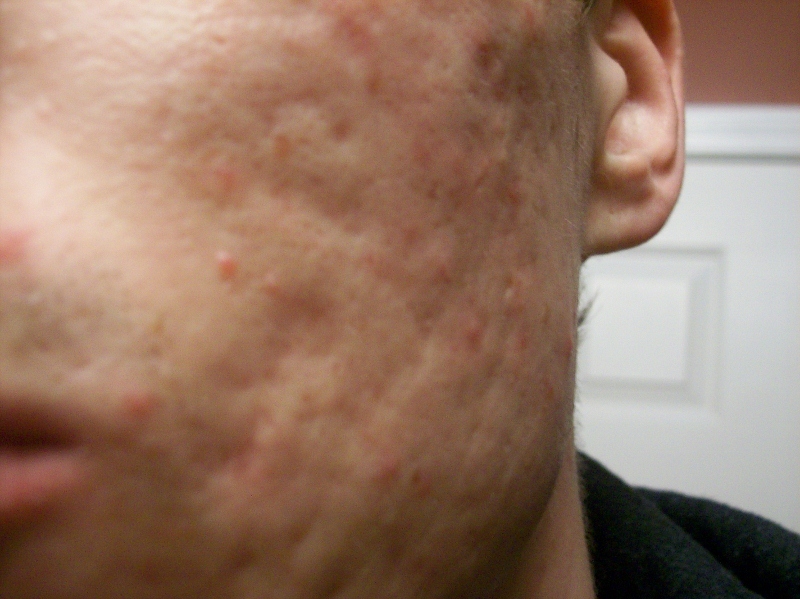 You should get your acne in control, before going for treatments. Maybe get some antibiotics before and during treatments to prevent breakouts. And definitely look into Matt's and Greg's threads. 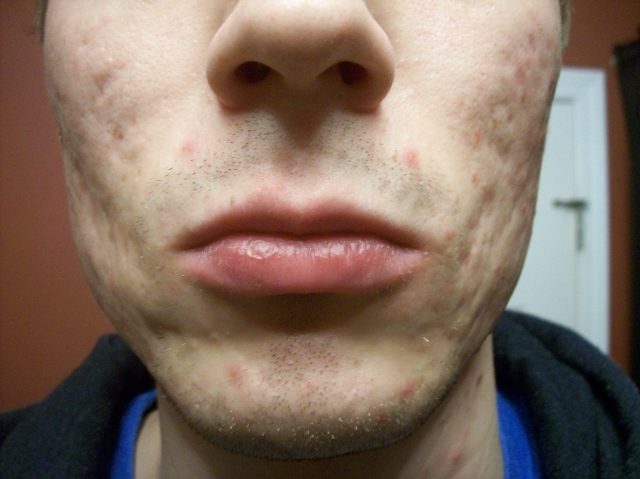 They had similar scarring and got great improvement with several subcision treatments. Fillers and fractional ablative lasers (Deep FX, Fraxel Re:pair) may also help, but I'd try subcisions first, preferably combined with at-home suctioning on days 3-10 post treatment. 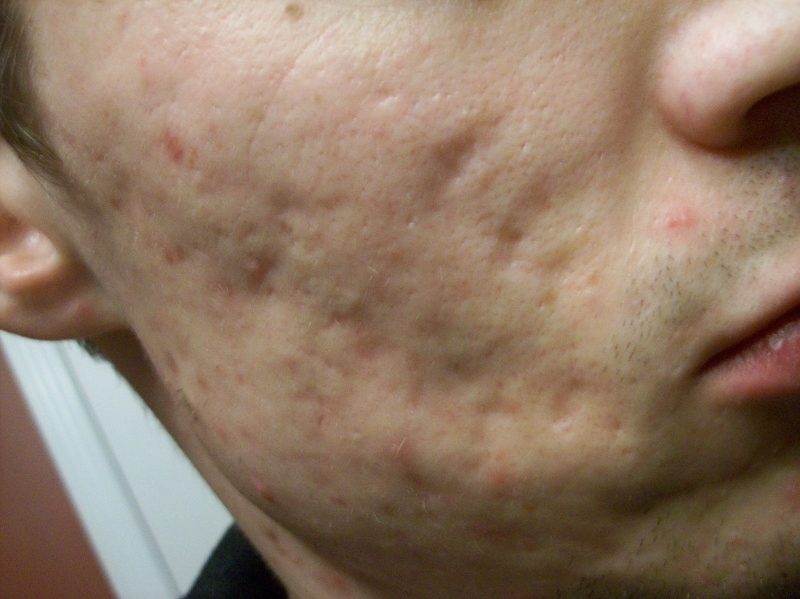 After a few rounds of those, look into fillers or laser if necessary. Dermarolling might help, but I think it would be too slow a process and subcision would be much more effective and at least as safe. 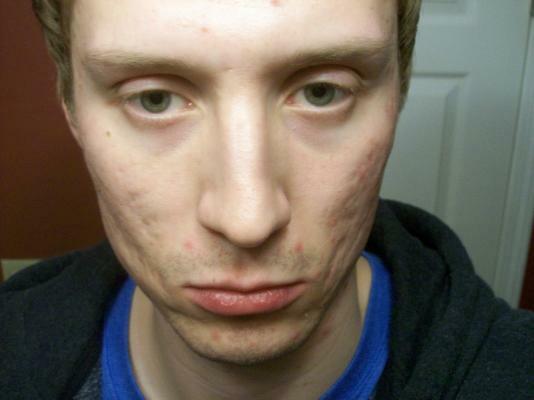 I think your scars are very treatable, and overall your skin seems to be in good shape. And I agree, that your face is very striking and handsome despite the scarring. One of the things I hate about acne scars is that people are afraid to acknoweldge them. It's such a taboo topic that even my own family is afraid to mention anything and never has. Sometimes I feel like i'm going crazy because it seems like i'm the only one who sees them. In some cases of acne scarring they really aren't very noticeable, but thats definitely not the case with me. Sometimes I would welcome having a conversation about it rather than keeping it all in my head. I know just what you mean. No one has ever said anything to me. On one hand, it allows me to live in the belief that no one see them. On the other it makes me feel like it's the elephant in the room. I am just too terrified to bring it up to anyone but my husband, and it took me a long time to get up the nerve to do that. Have you brought it up? 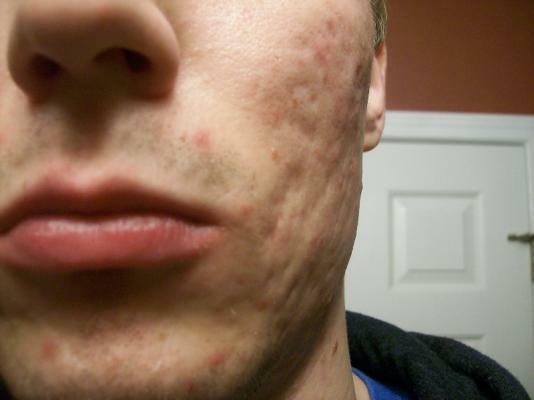 You should get your acne in control, before going for treatments. Maybe get some antibiotics before and during treatments to prevent breakouts. And definitely look into and threads. 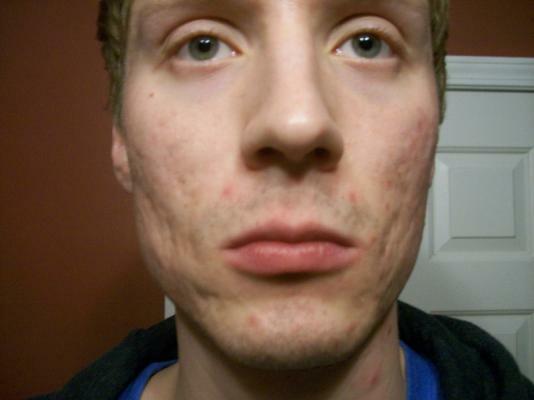 They had similar scarring and got great improvement with several subcision treatments. Fillers and fractional ablative lasers (Deep FX, Fraxel Re:pair) may also help, but I'd try subcisions first, preferably combined with at-home suctioning on days 3-10 post treatment. After a few rounds of those, look into fillers or laser if necessary. Dermarolling might help, but I think it would be too slow a process and subcision would be much more effective and at least as safe. Your skin is very much like mine. We are both very white and i always thought that considering I was so white, the scars were more noticeable. 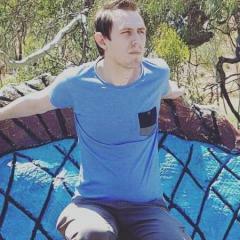 I lived in a country town and it felt like people only knew me as the person with the bad skin. It was very upsetting and this is why I decided to do EVERYTHING i could possible do to get my life back. That was over 3 years ago. My skin has changed a lot but so have I. I still have skin issues but nothing like I use to have. I still have scars but they aren't very noticeable any more. please read it and inbox me if you want advice or someone to chat to because i do understand and you are NEVER alone. Michi.. how did u bring it up to ur husband? when i try to bring it up to anyone i date i feel awkward. i would like to know if they notice them.